I will not lie, I’m pretty sure that I’ve gone off the deep end. We were all wanting a sweet snack the other day–a little treat because it’s been so hot, the guys had been out in the yard and the girls–we’d been playing in the pool. Hard. Work. Heh. 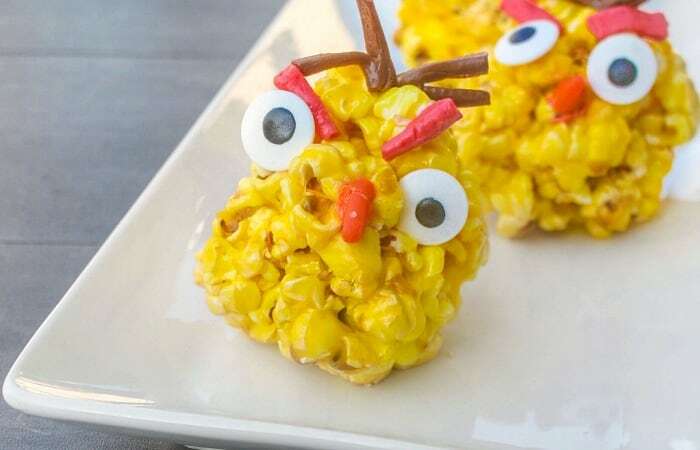 So, while the girls watched an episode of Angry Birds on Netflix, I got all inspired and made some Angry Birds Popcorn Balls. They’re lemon-candy flavored, topped with candy and just cute as a button. And really, really angry. LOL! I’ll be honest, when I initially made the Angry Birds Lemonade Ice Cream, I think my husband thought I was crazy. But when he tasted it–well, he changed his mind. Then this. So much this. He is now certain I’ve lost my mind completely and totally. 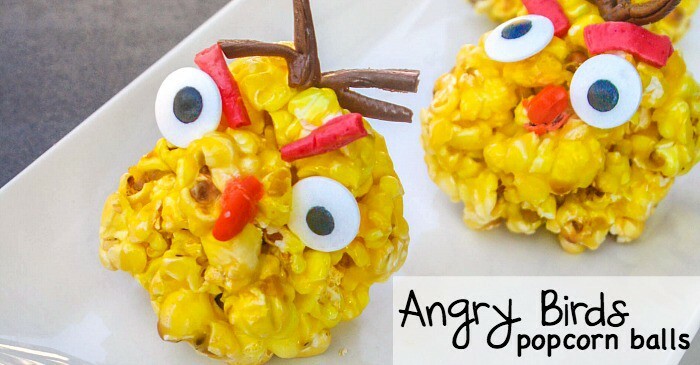 But he won’t turn-down Angry Birds Popcorn Balls. Nope. Lemon is one of his VERY FAVORITE flavors and now I’d just doubled-down on the yummy lemon in his life. Heh. Plus, I made the kids giggle. And the hubs likes that–finds it amusing when they laugh. Heh. 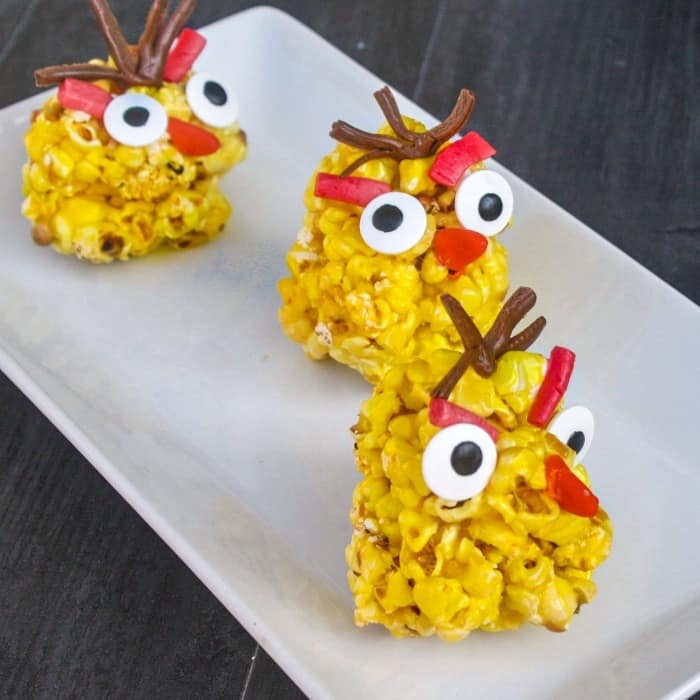 So, tell me, what do you think of these awesome Angry Birds Popcorn Balls? Gonna make some angry yellows for yourself? I’m dying to know if you love them as much as I do…toss me a comment below or drop me a line on Facebook. No doubt, you’re going to love them–I mean hate them–but they’re just. so. yummy. Heh. I got all inspired and made some Angry Birds Popcorn Balls. They're lemon-candy flavored, topped with candy--what could be better?! In a small sauce pan, melt butter and corn syrup. Stir constantly over medium heat until all of the skittles are dissolved. Pour popped popcorn into the pan once sauce is ready. Strategically place eyes, then pop into the refrigerator for 10 mintues. While the balls are in the fridge, cut up candy into the shapes to create eyebrows and hair tuft. 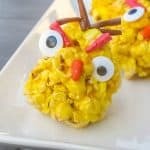 Remove popcorn balls from the refrigerator, press candy eyebrows and hair tuft into popcorn ball and serve!